Contact Us – I CAN. Since 1977, we at IGC Japan Ltd. / I CAN Gymnastics have been communicating the value of keeping a positive mental attitude and its reinforcement through the instruction of an endeared sport, gymnastics. The success of our teaching philosophy is not only in developing young gymnasts and tumblers but in improving the students’ confidence levels for personal growth and achievement. We emphasize that actions following encouragement and the strong belief that goals are attainable tend to yield positive results. Working with the individual from the inside and with the correct usage of I CAN in our teaching method, we stimulate the children to challenge themselves in a safe and structured environment. The core of our company dogma “I CAN” lies in the immeasurable power of these words – by boosting the confidence level of each and every student we believe that they can produce miraculous results. 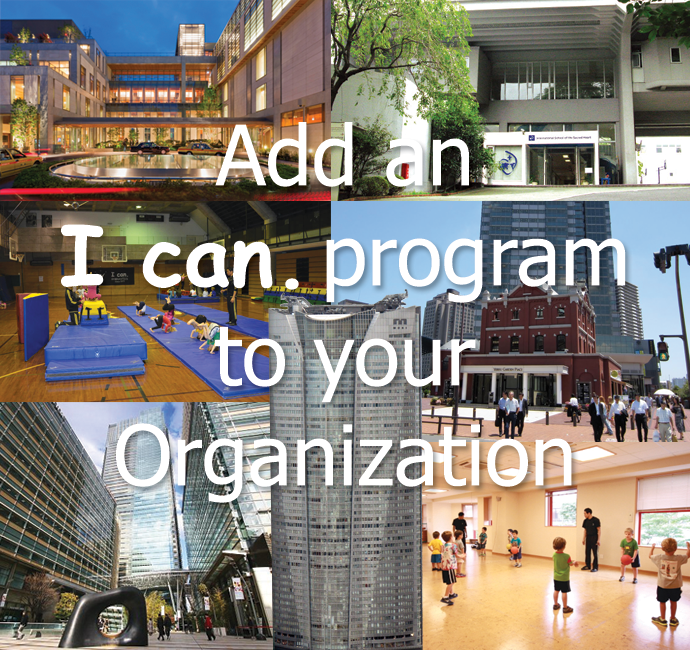 Would you like to incorporate I CAN in your working environment? How often do we catch ourselves saying that we cannot do something, limiting opportunities for growth and achievement? I CAN will assist you in boosting self-confidence through positive reinforcement. Discover your true capabilities. Be better equipped when facing challenges in every aspect of your life because you are not only changing your life, but the lives of those around you. Contact us for more information and/or consultation.